A $1 million peak period bus-only lane opening in Western Australia will see bus times from Perth’s north-eastern suburbs into the CBD reduced by minutes. The lane is part of the Beaufort Street bus priority plan and has been put in place between Walcott and Bulwer streets. The $14.2million project was a joint initiative between the State Government and the cities of Perth, Vincent and Stirling. Transport Minister Dean Nalder says completion of the decade-long project will see bus travel times from Perth’s north-eastern suburbs into the CBD reduced by about three to four minutes - depending on traffic conditions. "In 2004, the first section of priority lane from Grand Promenade to Central Avenue in Inglewood was finished," he says. "Today we see the completion of a much greater project to deliver an unbroken bus priority link from Grand Promenade to Roe Street in the CBD. "Over the course of a year, more than 1.5 million passengers will travel this busy route during bus priority times, which is why completing these works was so important." The bus-only lanes will be in operation from 6.30am to 9am (southbound) and 4pm to 6.30pm or 4pm to 6pm in the City of Vincent (northbound). During these times, motorists can use the lane for 100 metres if turning. Outside peak times, all vehicles are free to use the lane. 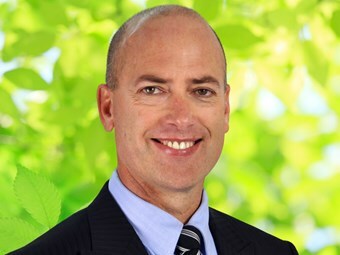 "Four minutes may not sound like a lot, but over a typical working year that’s 32 hours of commuting," says Nalder.